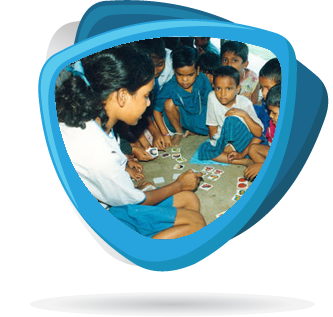 It is a sharing programme between rural and urban children. This programme aims to implement peer group activities. Every Saturday 150 regular students of the School move out into rural areas around Kolkata and share their knowledge with over 3000 rural children in 10 Government aided schools. They teach according to a pre-planned syllabus drawn up in consultation with village masters. It includes environmental teaching practical science, practical teaching of mathematics, etc.